Richard Garriott: Ultima IV is "My Most Important Work"
RPG pioneer Richard Garriott hopes to recreate the magic of games like Ultima IV with his new MMO Shroud of the Avatar. 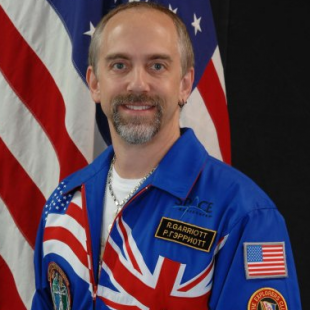 Videogames have a lot of legendary figures, but one of the biggest is easily Richard Garriott. The man behind the Ultima franchise, the groundbreaking MMO Ultima Online and, most recently the still-in-development Shroud of the Avatar, he is, in many respects the father of the electronic RPG. That being the case, of all his many works there is one that often stands out in the memories of RPG fans: Ultima IV. Even to Garriott himself, it's not hard to see why. "I do believe Ultima IV is my most important work," said Garriott, responding to questions from The Escapist. According to Garriott the game represents "a clear milestone in RPGs" that saw a number of firsts both for the series and the genre. "The introduction of the term 'avatar' which is now pervasive, the introduction of virtues, and "role-playing" versus level grinding," all of these, according to Garriott can be traced back to Ultima IV. That being the case, Garriott acknowledges that the game isn't perfect, even with its prominent place in the history of RPGs. "As highly as I think of the high concept of Ultima IV, it still has lots of rough edges, and I think that Ultima's V-VII have better told 'stories' in general," he said. "The game is too "black and white" once you know to be virtuous. Its relatively easy to 'walk the line', I think Ultima V made a better case for questioning what is right and what is wrong." Even so, he still hopes that Shroud of the Avatar will be able to channel some of the spirit and mechanics of older games like Ultima IV. For instance, the game will see the return of typed dialogue, a mainstay of earlier RPGs. He likewise hopes to see the new MMO do away with many of the conveniences of modern role-playing games. "The push for ease of use to bring in new players had us go to simple conversations, auto-mapping and quest logs with arrows. The result has been brain dead clicking to follow instructions. I am happy to get back to needing to think to play!"